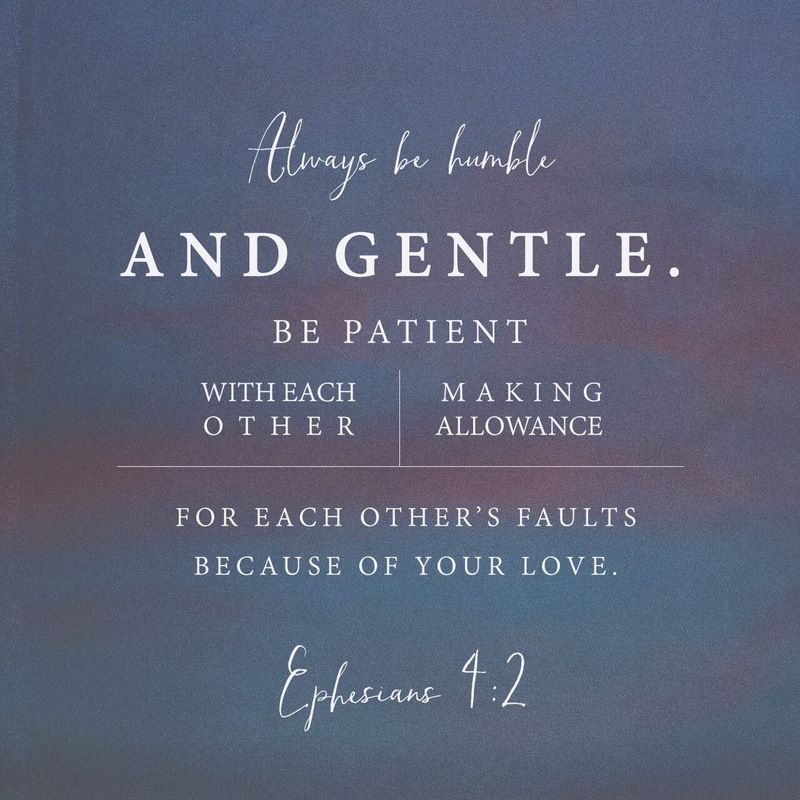 It is such a challenge at times to be humble, gentle, and patient. In reality, we have such active lives with varying challenges that make it difficult to stay on that task. Today, I was super disappointed in the outcome of a situation that was very important and time sensitive. My sense of urgency did not align with that of the other involved party. It was tough to ‘hold my tongue’ and not make the situation much worse. When I realized that it wasn’t going to go in my favor, I had to take a deep breath and just move on. Tonight, as I think about it – it wasn’t my battle to fight. It’s not that serious after all and most things ultimately work out for the best. Thank you for sharing this . Sometimes we do get fronted with all kinds of unhealthy insults and misunderstandings . As Christians it is hard but we just pray and remember that the battle is not ours it belongs to the Lord. I know that the struggle is real and that the enemy will do what ever is necessary to bring us down to his level. But so proud you held your own. They will think abut it and give you respect for it . The Lord will cause your enemies to bless you. Previous Entry A deeply satisfying life…?